REUTERS/Phil NobleExperts wearing protective suits are seen at a duck farm in Nafferton, northern England November 17, 2014. On Monday, a case of bird flu was confirmed at a duck breeding farm in East Yorkshire, the first reported case in the UK since 2008. What was the strain found on the duck in Britain? The flu strain has been identified as H5, although further tests need to be completed to confirm the exact strain of the disease, Britain’s Department for Environment, Food & Rural Affairs (Defra) said. 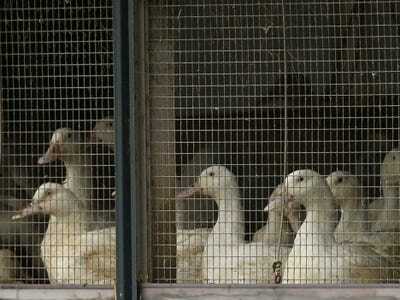 Health officials have confirmed that is not the deadly H5N1 strain, which can spread to humans. Britain’s health officials say the risk to humans is very low and that the food supply is not in danger, but emergency measures are being taken to control the outbreak. What action has been taken to control the outbreak? Around 6,000 ducks were killed Tuesday morning to prevent the spread of infection and a 10 kilometre (6 mile) restriction zone was immediately put in place. The restriction zone means that all poultry, poultry products, and waste within that area cannot be moved. “Everybody in the UK that owns birds in any number should be on biosecurity lockdown,” Keith Warner, president of the British Veterinary Poultry Association told The Telegraph. Even with bird farms on lockdown, experts still warn that more cases of bird flu could emerge in the coming days because wild birds can spread the disease. 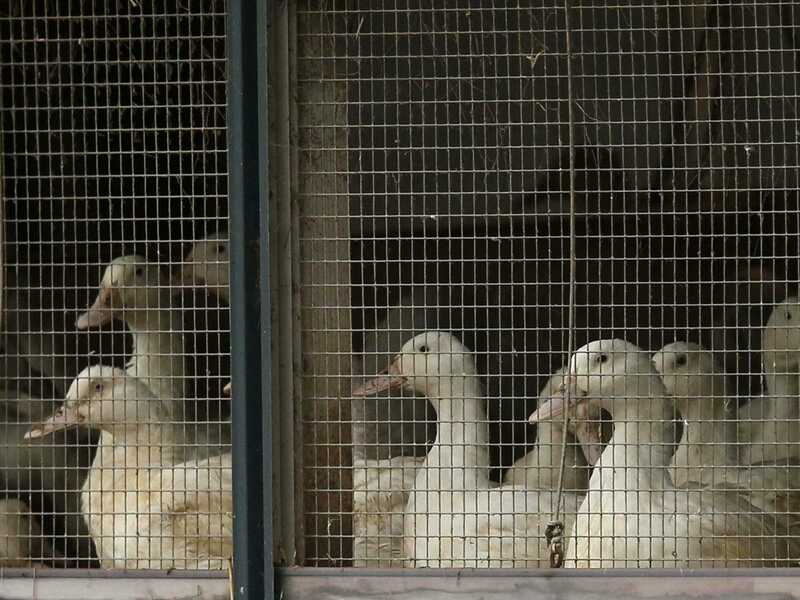 REUTERS/Phil NobleDucks in cages are seen at a duck farm in Nafferton, northern England November 17, 2014. Wasn’t bird flu reported in the Netherlands too? Yes. An outbreak of the virus was also reported at a chicken farm in Utrecht on Sunday. The strain was identified as H5N8, which is threatening to birds. In response, the Netherlands banned the transport of poultry and eggs throughout the country. Are the two outbreaks linked? Possibly. Investigators are looking into whether the Yorkshire case is connected to those found in the Netherlands and Germany, but Defra says that more tests need to be done. Those results are expected over the next few days. 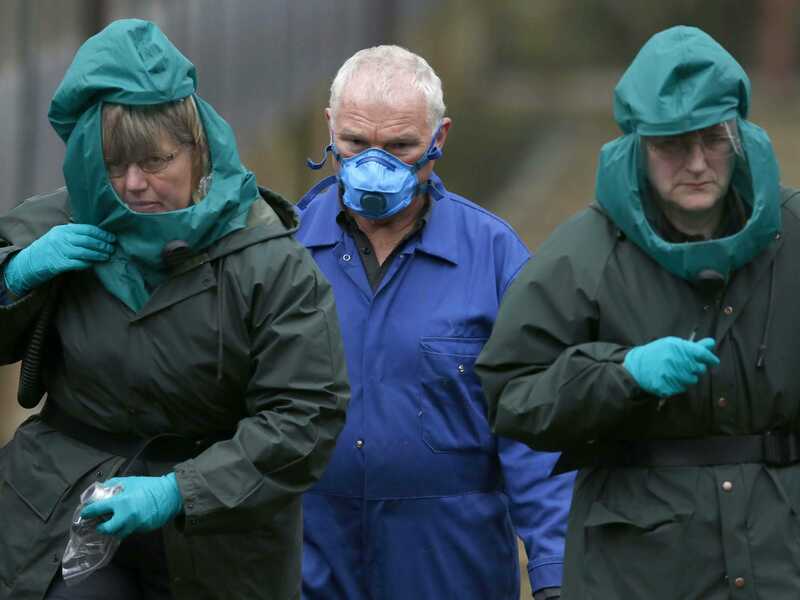 When was the last time bird flu was reported in the UK? The last reported case of bird flu in the UK was in 2008, when the H7N7 strain was found at a hen farm in Banbury, Oxfordshire. No human in the UK has ever been infected with bird flu.